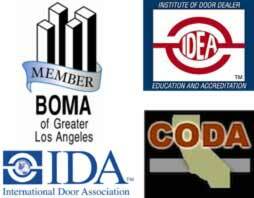 This door upgrade example shows before and after photos of an upgrade job in Los Angeles. 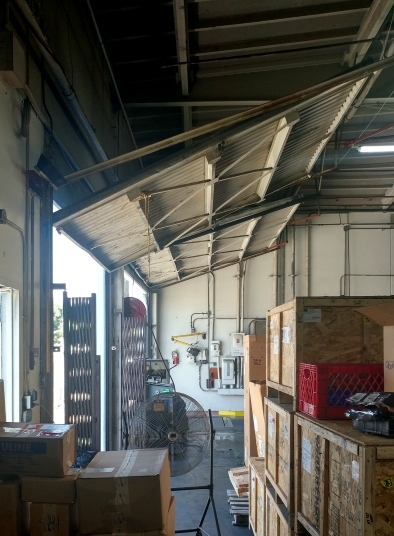 This company was having issues with their old warehouse doors, so they upgraded with the latest roll-up door technology. This door photo show a 60's vintage one piece aluminum door. This door is opened and closed by hand for nighttime security. 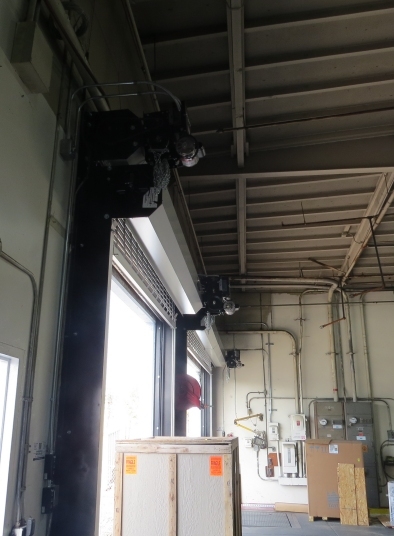 Notice this dock used scissor gates for daytime security to allow air flow inside the warehouse, also manually opened and closed. Scissor gates are popular to secure dock access during business hours. In this photo the scissor gates open as the workers tend to leave them open due to the high dock traffic with trucks coming and going, potentially compromising dock security. 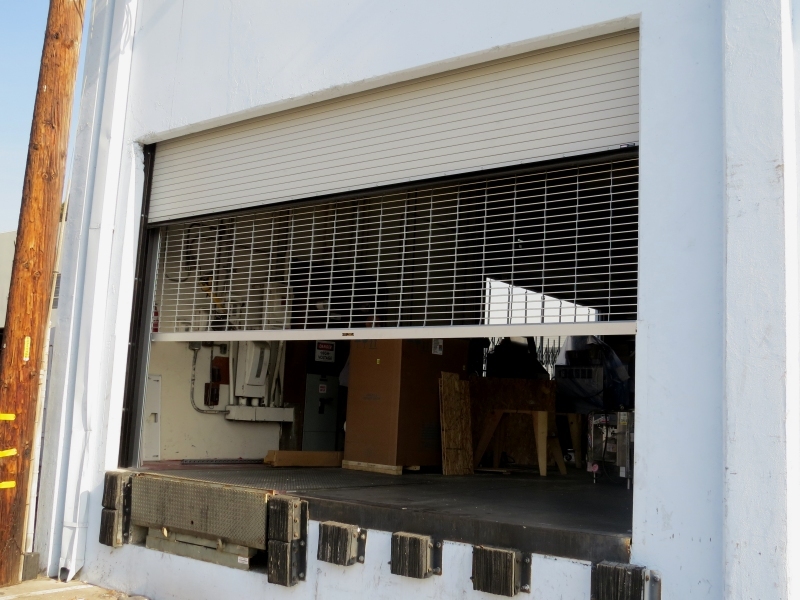 This photo shows the door upgrade in 2016, replacing the old door with a more compact motorized roll-up door. Using a roll-up door provides more clearance when moving big boxes with forklifts, minimizing risk and liability of an accident. The motorized door is also easier open and close, optimizing security diligence by the workers. A roll-up door also provides a cleaner look. 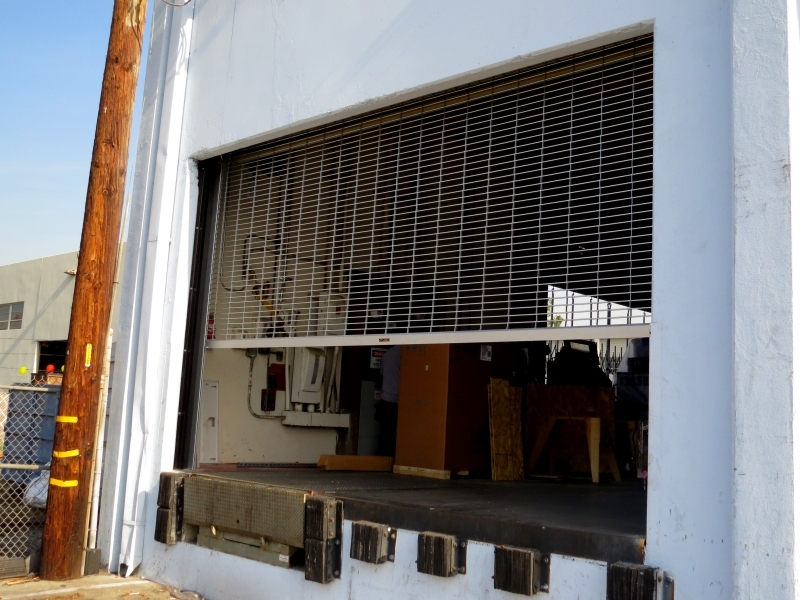 This photo shows the dock screen and door being closed together at the end of the day. In the morning the door is rolled up and the screen is left down for airflow. This photo shows the daytime security screen being closed after a truck delivery. 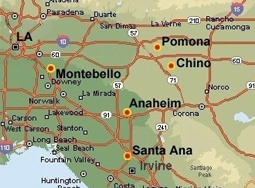 Since it's motorized, it's easier to keep the dock secure as trucks come and go for shipments. Manually operated scissor gates can promote being left unlocked, versus this more convenient motorized setup. 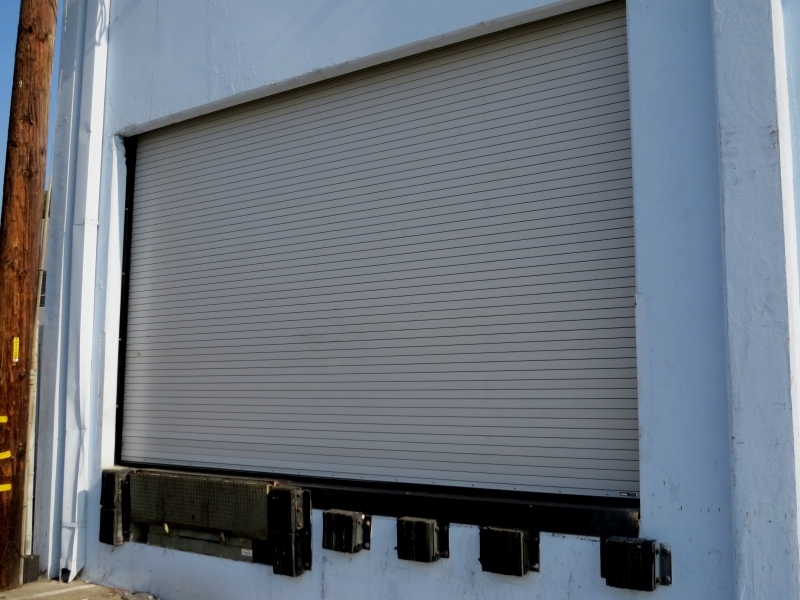 This shows the night time roll-up door fully closed for the highest level of security.